MARTIN, Tenn. – The University of Tennessee at Martin has recently been recognized as a 2018 Military Friendly School by Victory Media and as a top school in the 2018 Military Advanced Education and Transition Guide to Colleges and Universities. Designation as a Military Friendly school identifies those institutions which take special care to provide programs to help student-veterans and their families adapt to the expectations of college life. The Military Friendly Schools list, published annually by Victory Media, is in its 16th year and combines data from federal agencies, veteran students and institutional surveys to create a comprehensive guide for veterans and their families. More than 1,300 schools participated in the 2017-18 survey cycle and 849 earned the Military Friendly designation, according to a Victory Media press release. The 2017-18 Military Friendly Schools list was included in the December 2017 issue of G.I. Jobs magazine and can be found online at militaryfriendly.com. 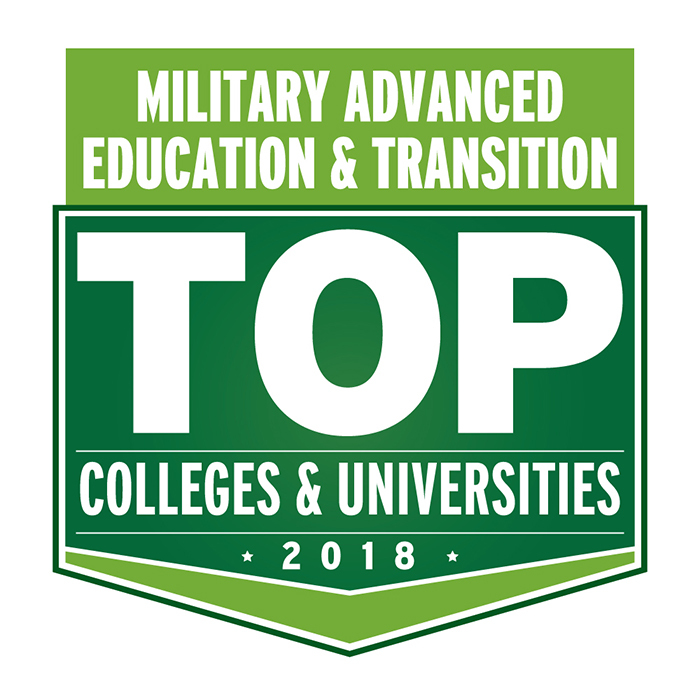 UT Martin has also been included as a top school in the 2018 Military Advanced Education and Transition Guide to Colleges and Universities. MAE&T is a journal of higher education designed for service members and veterans seeking to transition from military life to the civilian sector. For more information on the services available for student-veterans at UT Martin, contact Johnny Dyer, veterans service coordinator, at 731-881-7744 or email jdyer16@utm.edu.